Everyone has that dream job, the one that they strive for. Smooth Operators gives you the opportunity to achieve that dream…by running a call centre. OK maybe it’s not everyone’s ideal job. Thrown head first in the cut-throat and pixelated world of business, how will you you handle yourself? What kind of CEO will you be? And just what is synergy? 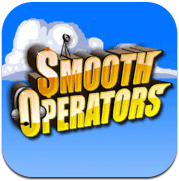 Smooth Operators is a call centre simulator and being that, you begin the game with $20,000. That’s how business works right? Regardless, you start the game with enough money to begin your company from the ground up, literally. You begin the game with a contract and an empty lot. In order to complete the contract, you must purchase blocks and employees and there are numerous types of each. In order to employ people, they require a space to work in. Office spaces house the various employee types, though each has a preferred space. Though they can work anywhere, an office worker will not be happy working in a services block and vice versa. Each employee completes a specific task and in order to remain productive, must be kept happy. Employees moods are affected by the state of the building, so hiring janitors to keep the workspace clean is a must. IT Consultants to fix broken computers, handymen to repair the amenities, everything to keep the company profitable. Adding new features to the building, such as a food kiosk, relaxation room and bathrooms, keeps everyone happy. Just like in real life. As you finish each work day, you are given a spreadsheet displaying your results. Failing to meet the required workload will incur a penalty, whilst completing all work will yield a bonus. Profits, salaries, building costs, it’s all important and all relates to how much you rake in each day. As each day passes, more of the game is also unlocked. Not every employee type or object is available from the get go, so prove yourself a shrewd CEO and gain access to all facets of a successful call centre. The game also contains a gauge that allows you to control how fast time passes. Slow down or even stop time to place purchases without worrying about taking your eye off the company or, if you’re confident enough, activate turbo speed, sit back and watch the money roll in. 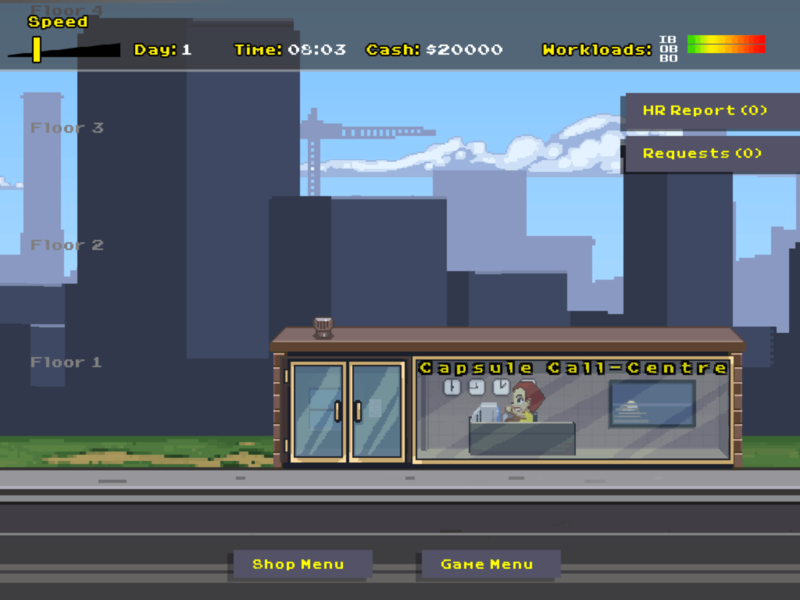 Smooth Operators employs a pixelated style to bring your very own business to cute little life. Your chibi workforce putters around the office, from computer to canteen, if you’ve built it, and back again. The further you progress, the screen get busier. What began as one employee becomes a force of workers, always moving and, hopefully, always earning money. The more chaotic the screen, the better the call centre is doing. The soundtrack itself contains two songs that play in a constant loop. That being said, the songs are good and catchy, almost annoyingly so. They have an upbeat style that fits with the style and makes the world of business seem happy and fun. Amidst the soundtrack you can also enjoy the tunes of daily work life, like the ringing of a a building full of phones and the majesty of sweeping brooms. These seem like small aspects of the game, but when they’re all combined, it gives a sense of chaos and work. When the game is quiet, your business is failing. 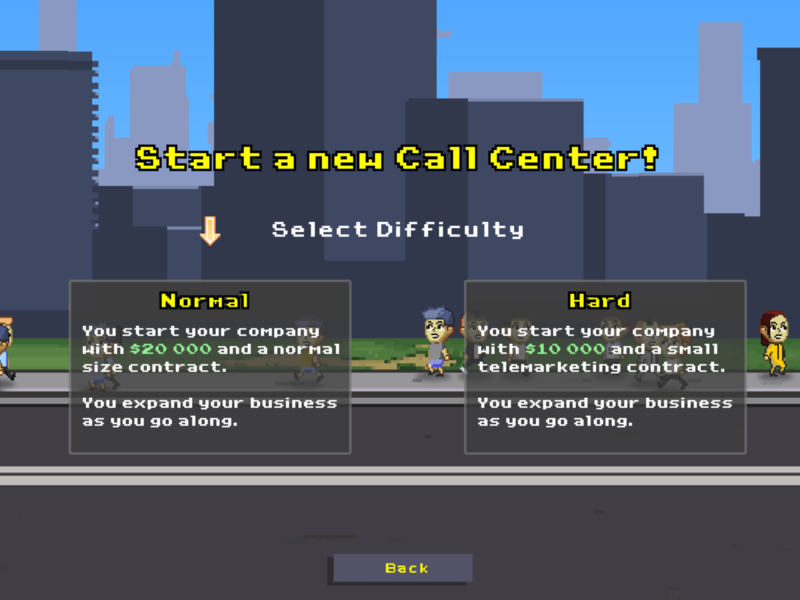 Though call centre simulator doesn’t seem like the most exciting basis for a game, Smooth Operators is more fun than it sounds. As you progress through the business life, your company grows. Send your employees on vacation, build them better facilities. It’s like your own little family…that you use to earn copious amounts of cash. They get a salary though, so it’s cool. 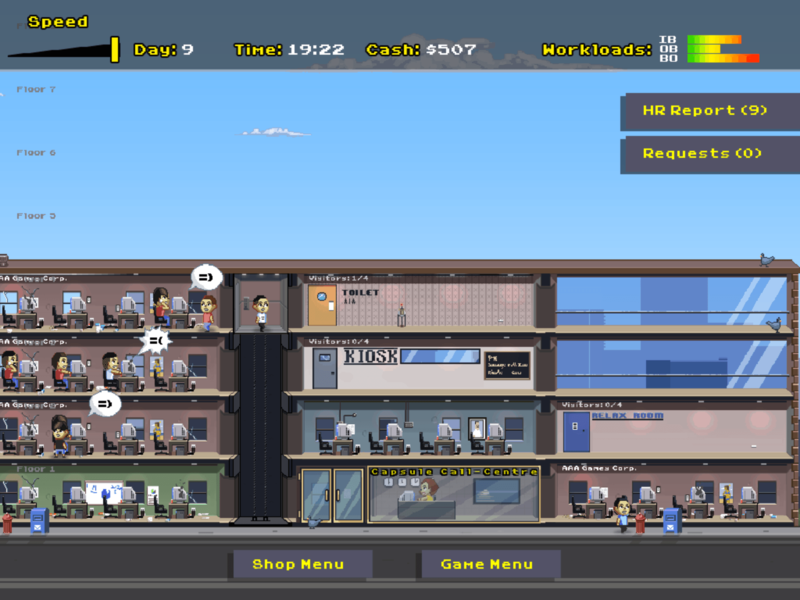 All in all, Smooth Operators is stressful, addictive and full of the real life pressures of business. It’s also cute, peppy and fun.